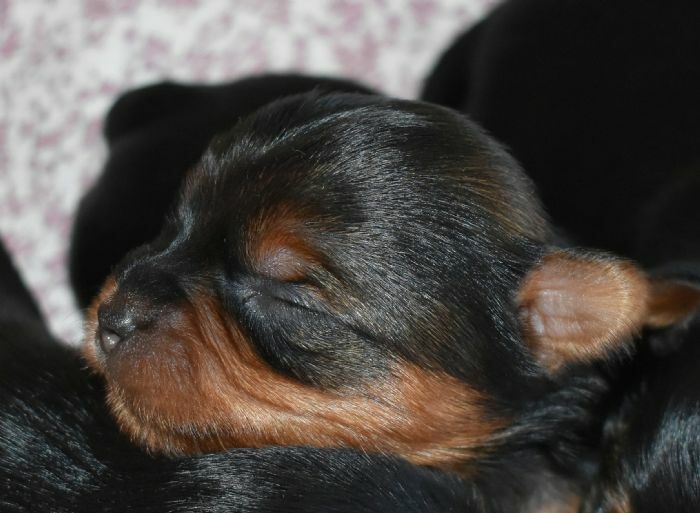 Puppies born on 27th March 2019.
the little girl will be going to Sydney. I know their new families are very excited. and we count our blessings, especially our gorgeous babies. browse awhile - there is quite a lot to read and many pictures to view and enjoy. like to know more, and please check back often for regular - sometimes daily - updates! The link to subsequent pages is at the very bottom of each page. I welcome genuine puppy enquiries. so we know you have visited. Thank you. etc. - are a ZILLION times MORE than any other animal species. they NEED our Voice in their defense. Please go to my Stop the Cruelty page for further information. 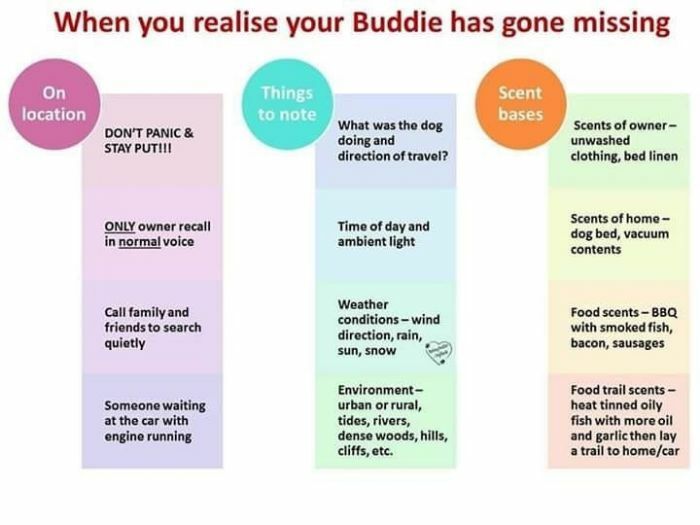 Please take a moment to visit Soi Dog website. They really are making a difference. from its family. The image below has some good advice. ** New Page - September 2018 babies. 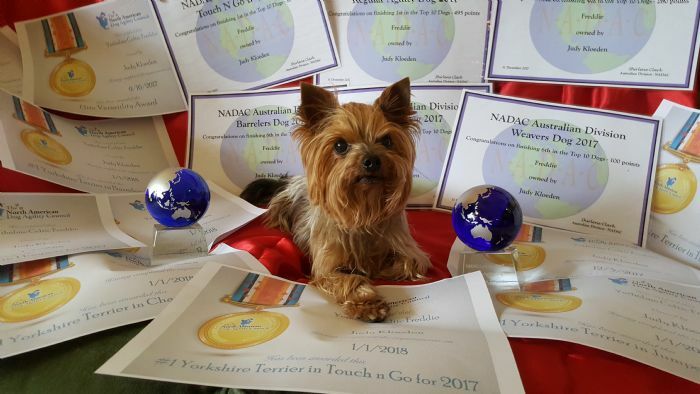 in her important role as Yorkie-Ambassador. 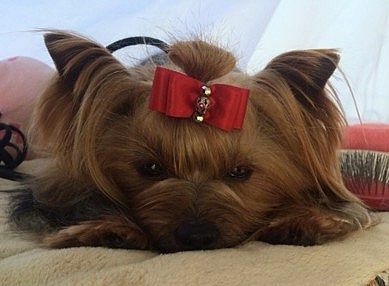 in your yorkie cannot be stressed enough. Emmi-pet 100% Ultrasound Toothbrush for animals. You are welcome to ask me about it, initially. We're so proud of this lovely little girl! showing just how versatile these little dogs are. 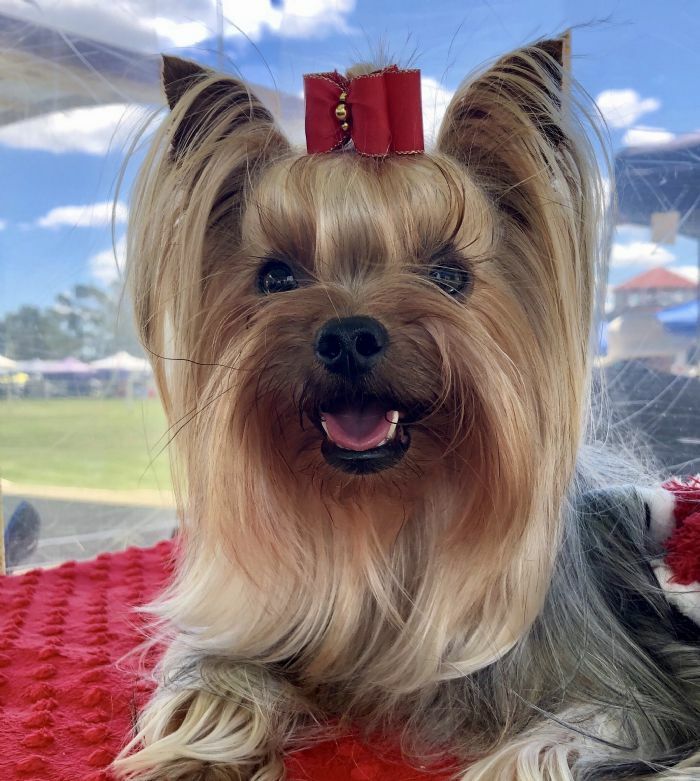 6th out of 20 in the Yorkie Breed Challenge National Leaderboard and 2nd in Victoria. She came 41 out of the Top 50 Leaderboard for the Toy Group. 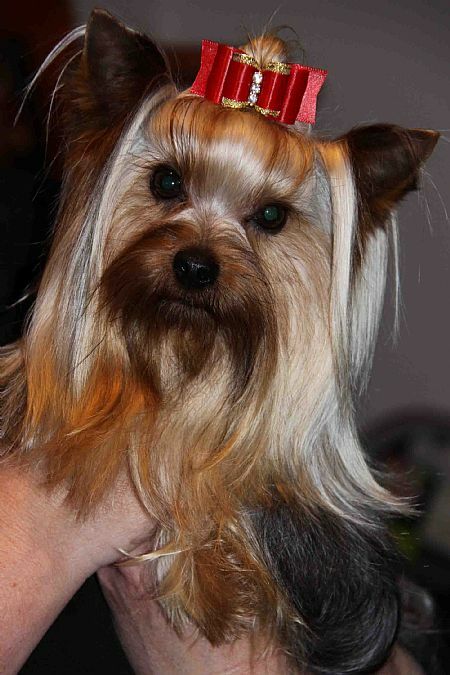 The Yorkshire Terrier is truly the dog for all reasons!! "Freddie had an amazing year last year (actually 18 months because the timing of the awards was changed last year). worldwide (well USA, Canada and Aus) in NADAc in all events. So proud of my little man." And we at Yetholme are so proud of both of them!!! Freddie is going on for 12 years young. agility. Such a good boy!" Pictured below, when he was being shown. On 12th February, 2003, OzYorkieRipples chat group was founded. It's a small group, but a very friendly group and a happy place to be. Many lifelong friendships have been formed. 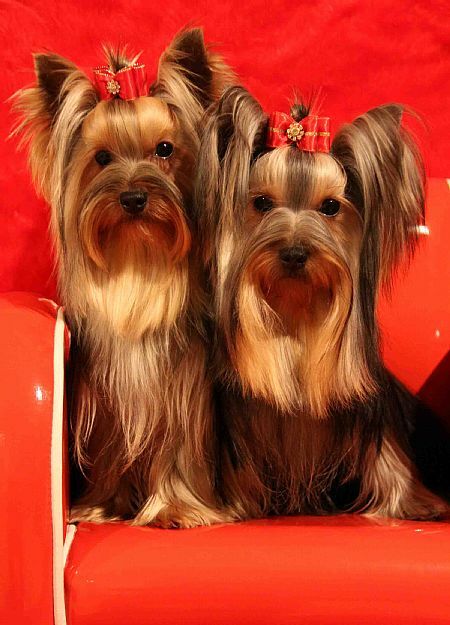 If you enjoy pleasant chat, yorkie chat, consider joining us. Please don't let yourself be scammed. Scammers are out of hibernation and looking for victims. Feel free to email me if you're not sure. 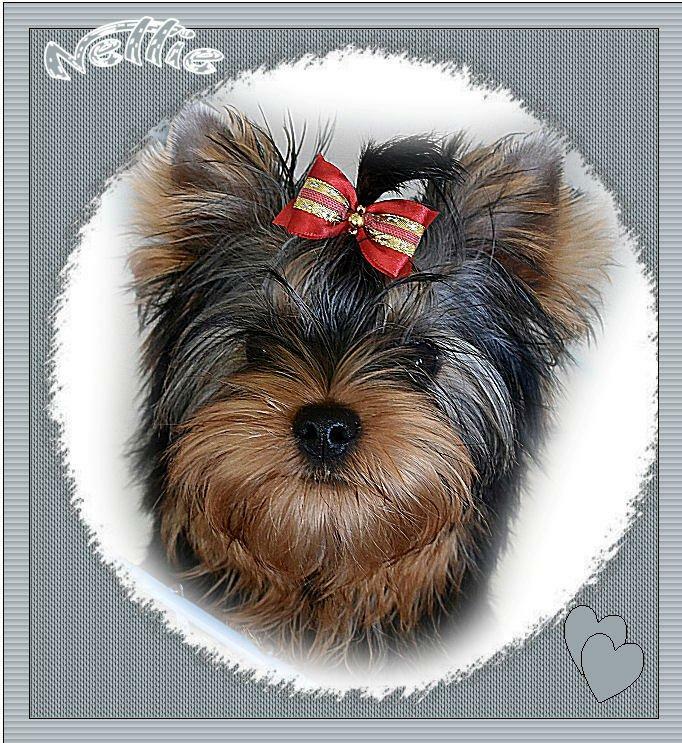 gorgeous baby, 'Nellie', eighteen weeks young in the pic below. Nellie is the younger sister to Tilly, below. aged two weeks, and below aged two years. huge congrats to Tilly and her mum. as 17 or as young as a couple of months. souls crying out for a forever home. family find space and love in its heart for one of the needy dogs? stolen, there is more chance of it being reunited with its family. Charli is our first 'Neuter' Champion and truly a credit to the breed. her owner has ever shown. Read about her progression from pet puppy to Neuter Champion. Charli, resting from her labours. this gorgeous breed remains undiminished. 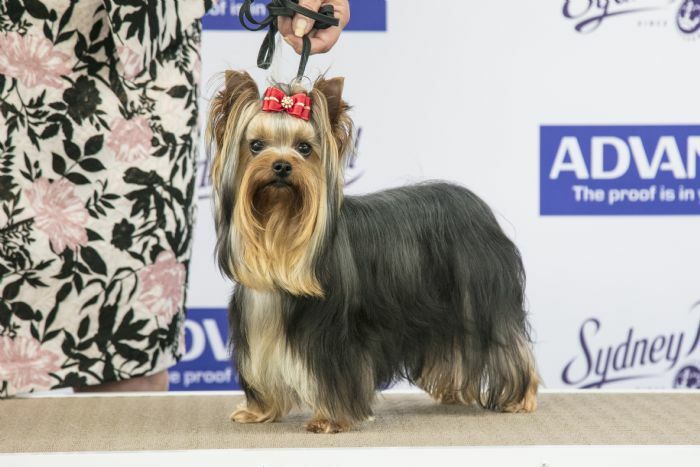 but please do not ask for 'teacup' yorkies. "Breeding means you enter your breed's gene pool and leave footprints for eternity! 'Suddenly all my ancestors are behind me. "Be still" they say. a wonderful legacy in her beautiful babies. !! Xylitol the Silent Killer !! Family ones. 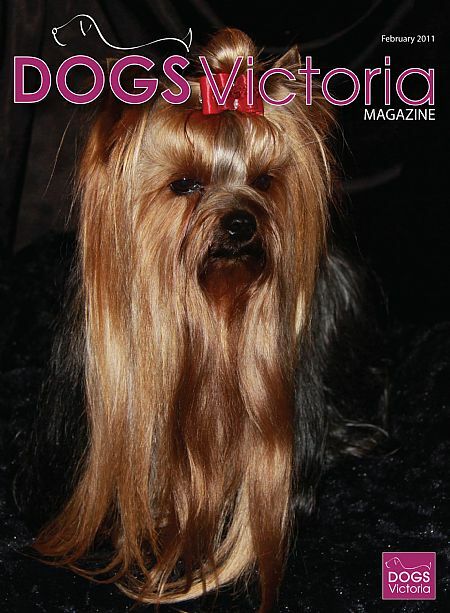 Choose only from a registered breeder. 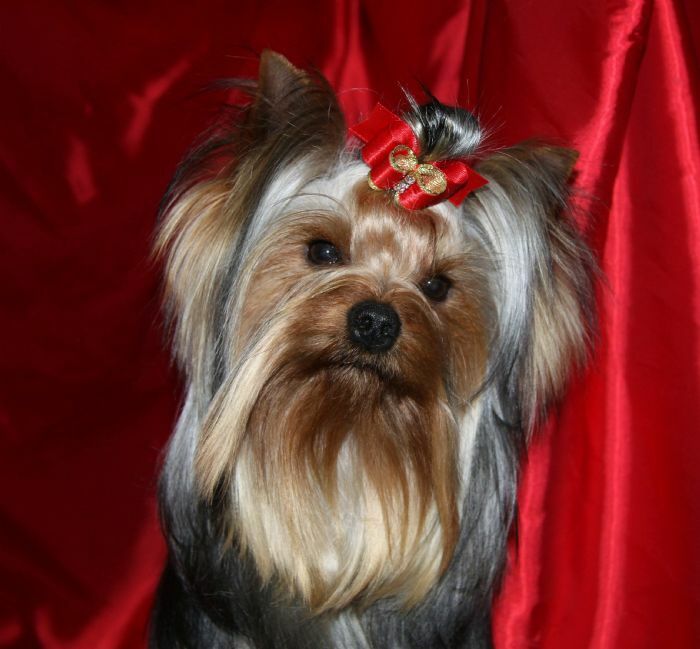 breeders in this breed based on various wins and titles earned by dogs that they have bred. be able to help put you in touch with them. information, you are welcome to contact me via my Contact page. a considerable sum of money for a puppy, went to the airport to collect it......and it never arrived. A scam. Disgusting! How can people do this kind of thing? The lady's children were bitterly disappointed, needless to say. If anyone trying to buy a puppy is asked to pay by Western Union, be VERY careful. ChaCha has achieved his ADX, JDX title. I am immensely proud of ChaCha and his 'mum', Georgia. ChaCha was his mum's very first dog, and together they achieved so much. 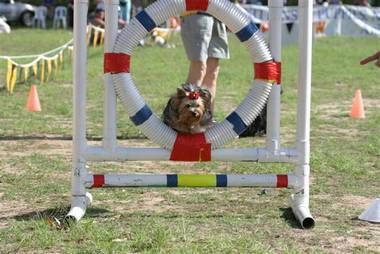 Please take a look at our Agility pages, and consider getting involved in activities with your yorkie. Judy from Victoria who is owned by Chloe and Freddie. add to their knowledge of the breed. and physical traits of their chosen breed. Their puppies are properly raised and socialised. Please be sure to sign my guest book so that I know you have visited.